Scholarship America’s Dream Award is uniquely focused on college completion. It’s awarded to students who’ve already started their postsecondary career – but who may not be able to afford to finish it. The 24 students who have earned Dream Award scholarships since the program began are incredible, inspiring young people – and we’d like to introduce you to two of them today. Read on to learn about the remarkable stories of Mary Sun and Rashid Elsamra. 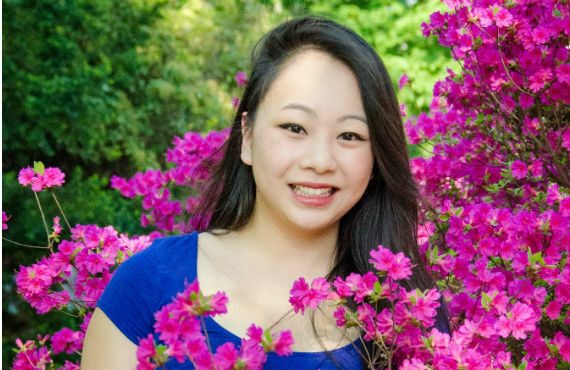 University of Pennsylvania senior Mary Sun is pursuing three different majors, and will be graduating this spring with not one but two degrees in the fields of business and science. Her long list of accomplishments at such a young age is beyond impressive, and even more so considering the difficult circumstances she and her family have faced. Mary spent much of her childhood in her father’s Maryland carpet factory, which he brought over from Hong Kong. The diverse employee base allowed Mary to pick up bits of Korean, Vietnamese and Spanish, and she enjoyed experiencing the variety of cultures that surrounded her. While she was in high school, however, Mary’s parents experienced extreme financial difficulties and lost their entire savings. Simultaneously, the family took in Mary’s grandmother, who was facing some serious medical issues and required close care. Several other family members also developed health issues, and the family’s financial situation grew dire. To help her parents cover expenses, Mary worked several jobs in restaurants and retail, and as a swim instructor, while she continued to commute an hour each way to her STEM magnet school. Through all of this, Mary not only kept up her involvement in sports and school activities, but also founded two businesses (a tutoring service, and a business helping students navigate the college application process) and a nonprofit organization focused on science policy. “When I was a lot younger, both sets of grandparents helped me see the human side of things, and I had a rather visceral experience with doctors and healthcare because of them. I started the nonprofit trying to make sure that people were lobbied for and cared about,” Mary said. After graduation this spring, Mary will be working for Microsoft before pursuing medical school, appropriate given her interest in bridging technology and medicine. She envisions changing entire health systems, like hospitals, which can be run more efficiently and more customer-friendly through the use of technology. Like Mary, Rashid Elsamra has faced a series of difficulties that could have led him down a very different path than the chemical engineering degree he’s currently pursuing at Florida State University. Though his immigrant parents had aspirations for themselves and their children, his father was deported and never returned to America; and his mother struggled to retain employment before an injury left her unable to work. But the tumultuous situations that Rashid continued to face at home – including experiencing homelessness – didn’t deter Rashid’s dream of earning a college degree. 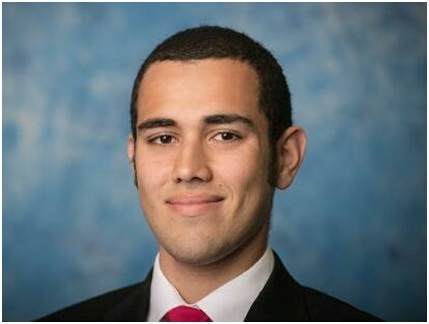 Rashid was accepted to Florida State University and received help through the Southern Florida Foundation, a scholarship housing program that helps young people who lack financial resources, but demonstrate excellent academic merit and good character, attend college. To earn money for tuition, Rashid worked at a fast-food restaurant and picked up jobs in his department’s research lab, the computer lab and as a tutor. But the overworking, plus setbacks and crises at home, took their toll. The stress led to insomnia, panic attacks, heart complications and the worst grades of his academic career. For Rashid, the Scholarship America Dream Award was a lifesaver. “I would’ve been stuck in a way worse situation if it wasn’t for the Dream Award,” he said, acknowledging that bad circumstances can force people to make bad decisions. “I’ve seen the worst that life has to offer. I don’t agree with it at all. I don’t want others go to through what I’ve been through,” he said. The award made a tangible difference in his stress levels and his ability to help his family. He ended his sophomore year with a near-perfect GPA. While home difficulties continue, Rashid’s perseverance to make the most of his situations also continues. He recognizes how much programs like the Dream Award can make an impact on a student’s life.